“Breath stacking” is a term that often applies to severe bronchospasm/COPD. This is when patients take a breath in, but are unable to get that air out, so it builds up and up in their lungs. 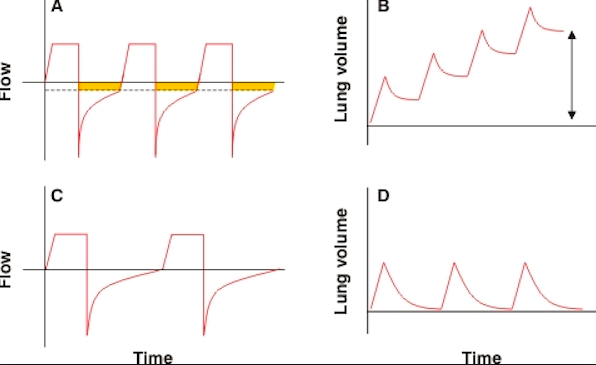 If they are on a ventilator, you can see it as the volume getting progressively higher with each breath, and the patient not completing a full expiration before trying to inspire again. If breath stacking is really bad, you can paralyze them with atracuronium. < Previous How do lifestyle changes factor into whether or not you should start someone on a statin?